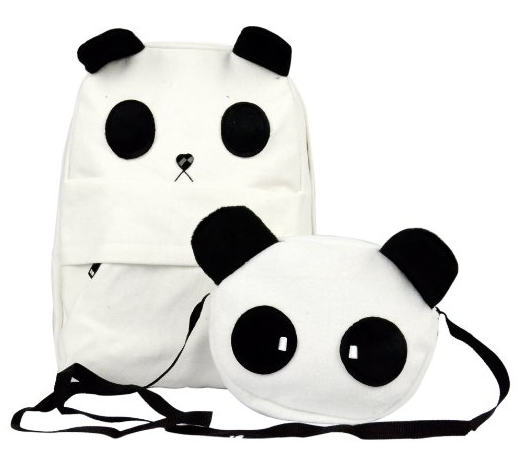 Panda Backpack PLUS FREE Purse and Free Shipping Only $11.80! You are here: Home / Great Deals / Amazon Deals / Panda Backpack PLUS FREE Purse and Free Shipping Only $11.80! Panda Backpack PLUS FREE Purse and FREE Shipping for Only $11.80! little panda shoulder bag as well and you don’t even have to pay shipping! this is one deal you don’t ant to miss!